Hammocks are great; that’s like, the fourth law of motion. Or something. We’d have a hammock instead of a bed if the women in our lives would let us. 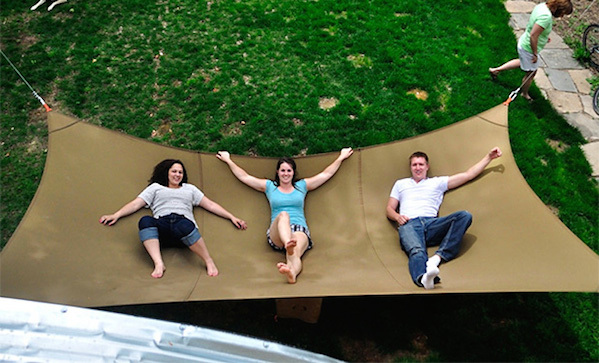 And now they just might, because this mega hammock ($416) can’t possibly tip over when we’re drunk. It can handle up to 1,000 pounds and is made by a designer who is an FAA certified parachute rigger. Dammit, why didn’t we hear about this in June?